Kummistu cemetery lies north-east from the Heltermaa road, about 200m towards Kärdla from the Suuremõisa crossing. Its area covers 0,56 hectares. The order to establish the cemetery came from the Russian Empire Senate in 1772 to prohibit burials in churches and their neighbouring grounds. The oldest grave mark remains from 1851, and is placed for Ingel Baio. The cemetery houses around 1400-1500 burials. 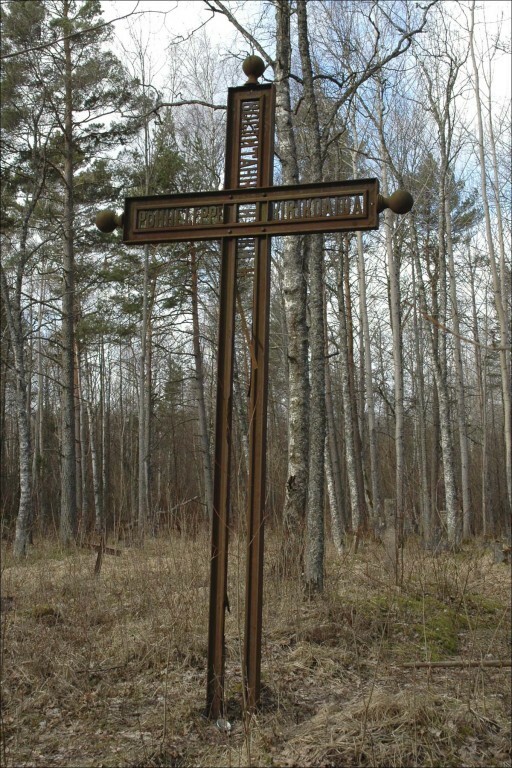 There is a memorial cross for the son of the long term pastor of Pühalepa church, Alexander von Sengbusch. The son was Johannes von Sengbusch, principal of the St. Petersburg technical school. The cross was gifted by the students of the school. Also the pastor's wife Juliane Wilhelmine von Sengbusch and his eldest daughter Maria von Sengbusch have been buried here. There have been no burials since the beginning of the 20th century due to lack of space. The last grave mark is set for Ann Liik in 1924. Currently no graves are maintained. During 1998-2000, the entry road and the whole cemetery were cleared of underwood and litter.